TABLE 1. 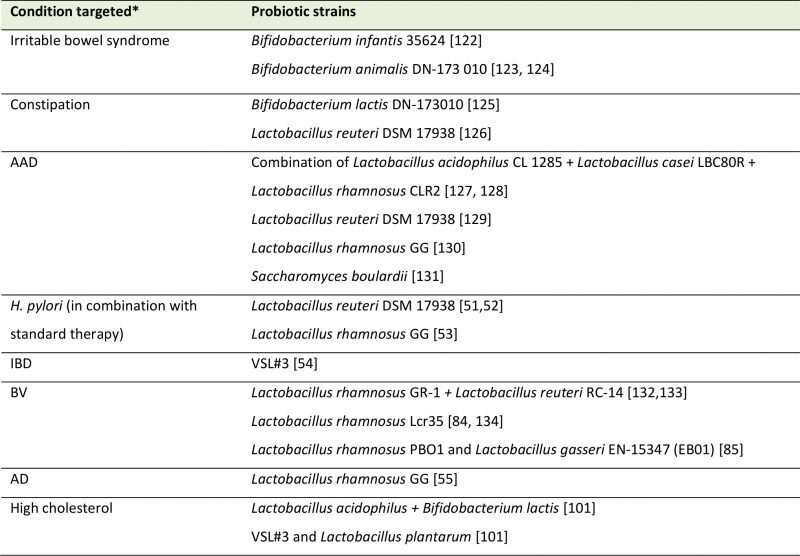 Probiotic strains and the condition they target. 129. Cimperman L, Bayless G, Best K, Diligente A, Mordarski B, Oster M, Smith M, Vatakis F, Wiese D, Steiber A, and Katz J (2011). Study of Lactobacillus reuteri ATCC 55730 for the prevention of antibiotic-associated diarrhea in hospitalized adults. J Clin Gastroenterol 45(9): 785–789.